A tier-one supplier to a Fortune 500 heavy equipment manufacturer sought a one-stop solution to reduce inventory, get more product out the door with less labor, decrease material handling and reduce the complexity of their manufacturing process. 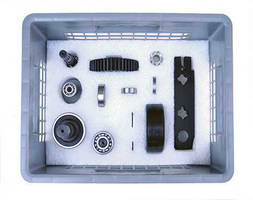 Asia America's solution involved the reduction of 70+ parts into three kits for a model build. The parts were delivered daily from the Asia America owned inventories. The customer took title to the inventory when it was consumed. The kits were built in advance, allowing the assembly facility to manage spikes in production requirements. With Asia America's kitting capabilities, the customer managed just three kits instead of 70+ components. This increased end of line production by 40%. Material handling was reduced by 85%. The customer's inventory ownership decreased by 90%.